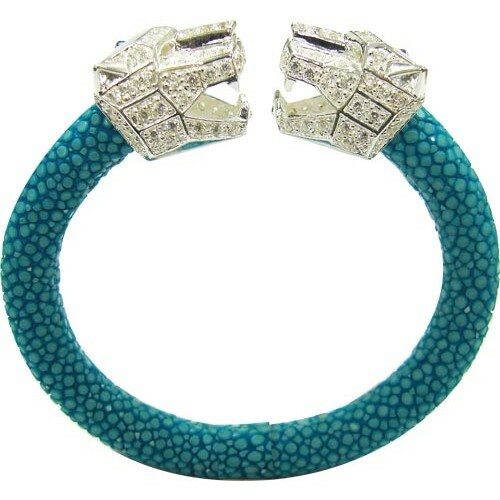 Aqua Silver 92.5% bangle Cheetah | JewelPelle Stingray Product Manufacturer in Thailand. Stingray bangle manufacturer in Thai, We proudly Hi-quality product for made your brand. "Cheetah" means "fast" and "strength", which means the business is streamlined. Nothing can stop your luck.